The Netherlands is a very popular tourist destination. There are several international airports you can use to reach your desired part of the country, so check them out to see which one is the best option for you. Amsterdam Schiphol Airport is the country’s main international airport. It is located 9km southwest of the Dutch capital. In terms of passenger traffic it is the fifth Europe’s busiest airport. 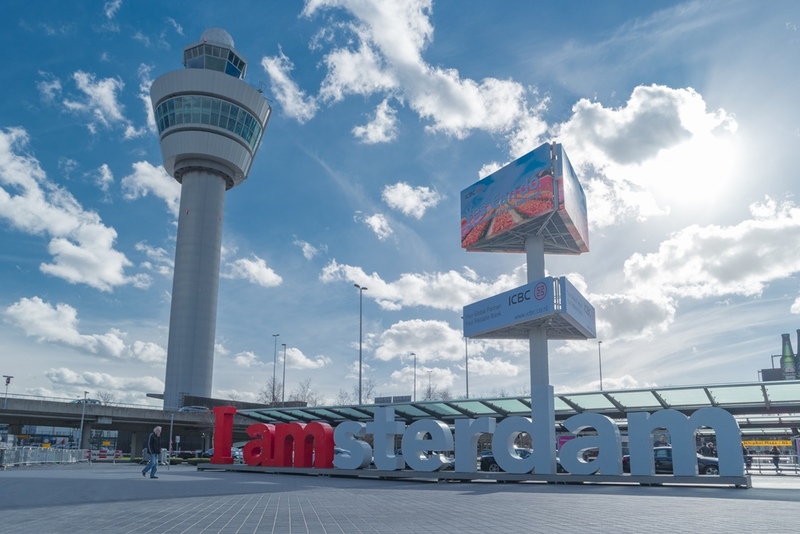 It is a hub for KLM, Martinair, Transavia, TUI Airlines Netherlands and Corendon Dutch Airlines. Low-cost airlines, such as EasyJet and Vueling, use it as a hub as well. The best way to get to city centre is by taking airport shuttle bus. Einhoven Airport is located 8km west of the city centre. It is the second largest airport in Holland. The airport serves for both civilian and military traffic. Rotterdam or the Hague Airport is only 5km north of Rotterdam city centre and it’s country’s third biggest airport. It serves the cities of Rotterdam and the Hague with their surroundings. It features flight to European metropolitan destinations. See here how to get by public transportation to Rotterdam and to the Hague. Flamingo Airport or Bonaire Airport is an international airport serving the area of the city of Kralendijk in Holland. It serves as a secondary hub for Dutch Antilles Express and Insel Air. During season it features flights to metropolitan destinations accross Europe. Maastricht Aachen Airport is an international airport located 9km northeast of Maastricht city and 28km of Aachen in Germany. It is the second-biggest hub for cargo flights in the country. In high season it features charter flights to European leisure destinations. Eelde Airport in Groningen is an international airport in the northeastern Netherlands. It is situated 9km south of Groningen. It features flights throughout Europe and Turkey via airlines Corendon Airlines, Transavia, Flybe, TUI Airlines Netherlands and Wizz Air.